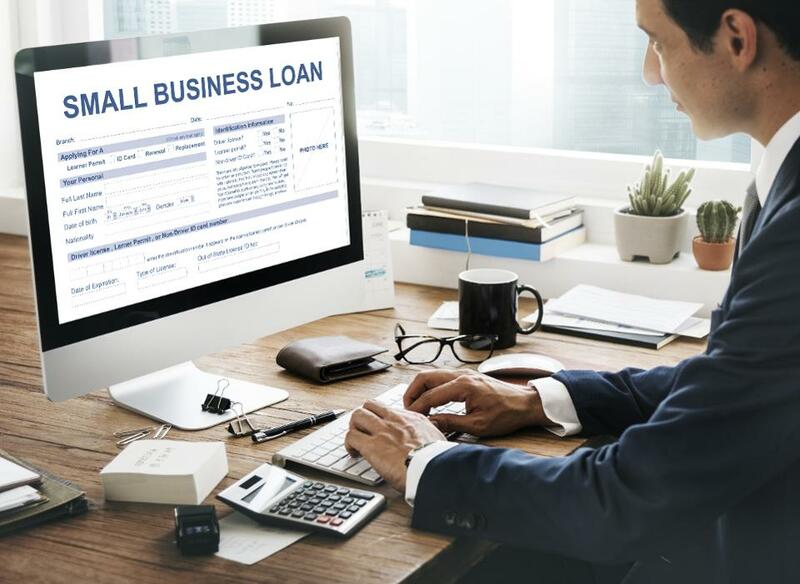 When your business is looking to expand, ensure cash flow, or invest in something like a new piece of equipment, you might want to consider a small business loan. If that sounds like you, the good news is you’ve already taken a step in the right direction. Any businesses considering a business loan should start by researching their options. Lack of preparation is a primary reason business get denied during their search. As Mark Palmer, the managing director at BTIG (an investment firm) says, “many businesses simply aren’t savvy about the application process” and believe they can just fill out an application and get approved. But it’s not that simple. A lender won’t consider you if you don’t have a legitimate reason for needing a loan. Just starting a business isn’t enough. There are many reasons business owners ask for business loans. You may wish to build credit for a large future project that will require financing. There could be a lucrative business opportunity that requires capital to capture. Or maybe you need cash to hire new employees. Do you absolutely need the money? Are you investing in growth or trying to cover a hole? Do you have an adequate cash flow to repay the loan? While there is never a guarantee of approval, you have to be able to explain exactly why you need the money. Be prepared to talk to lenders about this. Know that some loan purposes—starting a business, acquiring another business, or buying out a partner—are notoriously hard to fund. Typically, you and your partners must already have good personal credit and experience in the industry. Having some proof of your ability to repay the loan is crucial. Both personal and business collateral help a lot. And if you’re personally invested in the company, that’s a good sign. Bank statements: Your business’ financial health will be examined (as will your personal financial health). Business info: Lenders what to know how long you’ve been in business, who your customers are, and what’s your net income. Legal docs: You need proof of ownership and all proper licenses and permits. You should probably decide what the right business loan looks like before you start actively searching. There are plenty of options, so it’s worth exploring all the ones that apply to you. With a traditional term loan, you can get cash up front, and pay it back over a set term (generally 1 to 5 years). These loans are given for a specific business purchase, such as equipment. Short-term loans are similar but have shorter repayment periods (and higher APRs). Paperwork for short-term loans is limited, and you may get approved even with bad credit. Yes, a personal loan can be used for business purposes. Applying for a personal loan is a good idea when your company doesn’t have a lengthy financial history. A business line of credit allows you to borrow money only when you need it. They can be a great solution when cash flow is a problem. Even if you can’t get a traditional loan from an online lender, you aren’t out of luck. Invoice financing allows you to obtain money for invoices before the client pays (a percentage of the bill is usually given to the lender). Also called a merchant cash advance, these loans provide you with a lump sum of capital. You repay by giving a portion of your daily credit card sales. The approval process is easier than other loans and you don’t need stellar credit. However, fees are some, if not the highest on the market. Business loans can range from $2,500 (microloans) to seven figures. Naturally, most financial institutions don’t like dealing with small amounts because they’re less profitable and still require the same amount of work. Nonprofit microlenders: These lenders typically offers terms and interest rates that are very favorable. They also work to educate borrowers on how to best put loans to work. Community banks and credit unions: These financial institutions are often very willing to work with small businesses. Other alternative lenders: These include peer-to-peer lending platforms, crowdfunding sites, purchase order financiers, and others. Many of these companies offer speedy loan approval. But interest rates are usually higher than those found with bank loans. The Small Business Association (SBA) is also an option. SBA loans are long-term, government-guaranteed loans. These can be used for many purposes and usually have low interest rates. You can get a general loan, like the 7(a) loan. Or you can apply for something to meet your specific needs, such as a CDC/504 Loan (for real estate and equipment). The application process is quite long for SBA loans, and you may be required to put up collateral. But even if you’ve been turned down by a traditional bank, you can still get approval from the SBA. In general, loans take anywhere from a few days to multiple weeks. It can take months if you’re applying for a loan from the SBA. But the rise of online lenders offering immediate loans is changing the game. You’ll quickly discover that different online lenders quote their rates in different ways. You need a way to compare apples to apples. Interest: This is the cost you’re paying on the loan until it’s paid off in full. The interest rate could be 5%, 10%, 15%, or higher. Keep in mind that it doesn’t take into account other expenses, like the origination fee. Annual Percentage Rate (APR): This number includes the interest rate, as well as the fees that come with getting the loan. Remember: the loan with the lowest interest rate may not always be the most affordable loan. It’s the APR that tells you more. Fees: These add to the total cost of borrowing the loan. Examples include application fees, origination fees, closing costs, etc. Factor rate: This type of set interest typically comes with merchant cash advances. You have to multiply your loan principal by your factor rate to determine what you’ll pay back. For example, if you need to borrow $10,000 and your factor rate is 1.25, then you’ll have to repay $12,500. Whatever option you go with, make sure you look at the annual percentage rates (APR) and terms. Be thorough. Understand the total cost of the loan and its potential impact on your life. And always choose the lowest APR if possible so that there won’t be any surprises. When it comes to finding the right business loan, it pays to be as prepared as you possibly can. Be certain to look for loans from all sorts of sources, and keep an open mind about how much money you need. Always ask lending officers as many questions as possible before you sign a contract. Remember: it’s your business and you’ll have to repay the money. The more research you do and more caution you take, the better off you’ll be in the long run. If you’re diligent, careful, and resourceful, you’ll be well on your way to securing the best loan possible for your business. This article was written by Jared Hecht from Forbes and was legally licensed through the NewsCred publisher network. Please direct all licensing questions to legal@newscred.com.